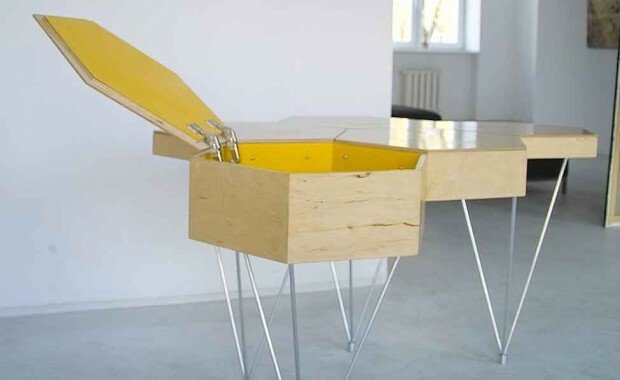 ... and your feet firmly on the ground thanks to Warsaw-based Architecture & Design firm Lorens' Cloud desk. Modular, functional and smart, Cloud would look stylish in any home/office and is also available for children. Daydreamers at work have never had it so good, on cloud nine I'd say!